We’ve all called on roadside assistance to come to our rescue, but how about seaside assistance? 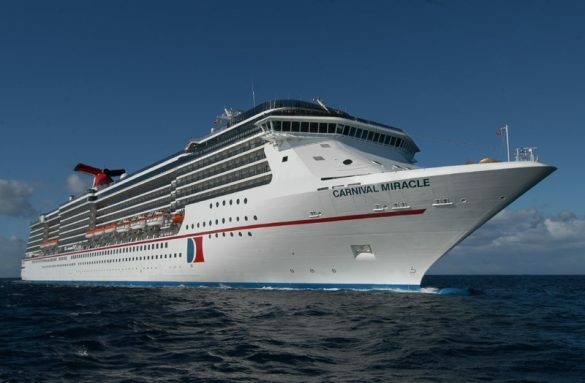 On Wednesday, Dec. 12, as the ship was at sea, Carnival Triumph responded to a request from a sailboat in the vicinity that was in need of oil. Keeping with maritime tradition and looking to provide a helpful hand, Carnival Triumph approached the vessel to assist as the sailors gleefully shouted, “Thank you, Carnival!” Captain Isidoro Renda and his team offered the sailors oil for their engine allowing them to successfully continue along their journey. Carnival Triumph was on a five-day Western Caribbean cruise that returned to her homeport of New Orleans today.